A one stop store for farmers, small holders and pet owners. We have supplied local livestock farmers with a high quality range of animal health products and equipment since 1973. We aim to continue to provide the best possible choice and service to local farmers for all their animal health needs – a genuine ‘one stop shop’ in the region. Working closely with the UK wide network of independent agricultural retailers, Downland, we have been able to add value and breadth to our product range. As members since 1992, we work together to share knowledge and expertise and to supply a wide range of animal health and nutritional products. We really do aim to be a one stop store for all of your animal health and equipment needs. Working in partnership with Downland to give the best advice, products and value. In 1992 we joined Downland – a UK wide network of independent agricultural retailers who work together to share knowledge and expertise and to supply a wide range of animal health and nutritional products. 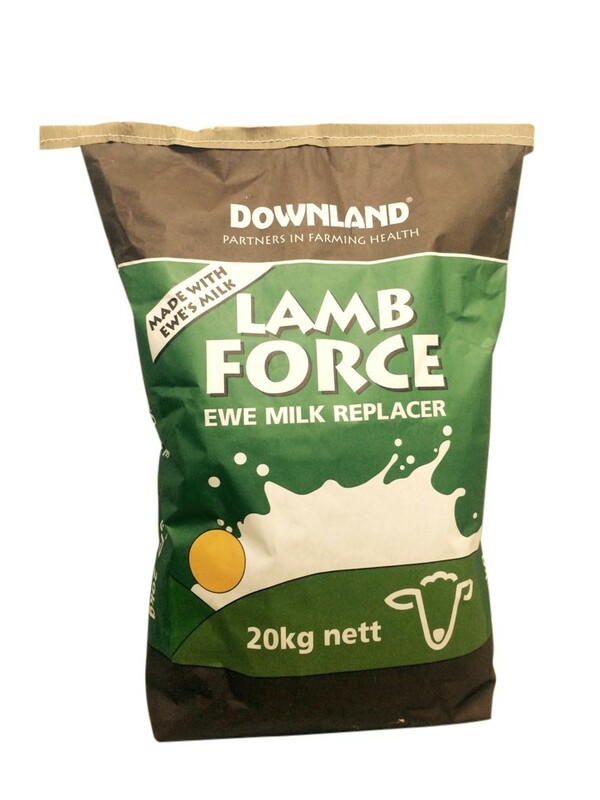 Lamb Force – Ewe Milk Replacer. Lamb Force Ewe Milk Replacer is made with ewe’s milk. The ewe’s milk is carefully dried to maximise the digestibility of the protein and to protect the antibodies in the milk. The improved flavour and natural antibodies have been shown in the right formula to improve lamb growth rates. It is these proteins, along with a special blend of plant extract, which give Lamb Force its performance advantage over standard product. Lambs prefer it as it is just like mother’s milk. Lamb Force Ewe Milk Replacer suits all feeding systems, it can be fed warm or cold and is ideal for bottle feeding, ad-lib feeding systems and some machine feeding systems which require an instant mixing bag. 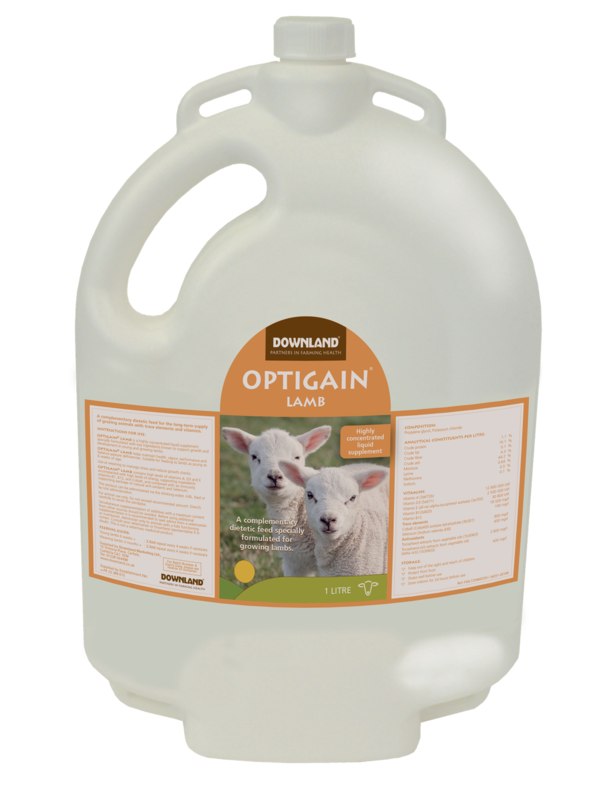 Specially formulated for growing lambs, a highly concentrated liquid supplement containing key ingredients known to support growth and development in young and growing lambs. Increased Vitamin A, D3 and E, increased cobalt for rumen development, added amino acids and higher levels of Vitamin E, Selenium and natural antioxidants. 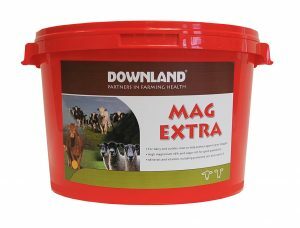 Mag Extra – Extra high 15% magnesium vitamin and mineral lick to help manage grass staggers in dairy and suckler cows. Spring presents the first risk season of the year due to the flush in grass growth as temperatures start to increase. This rapidly growing grass has a low magnesium content but also contains high levels of potassium and nitrogen which can reduce magnesium absorption once the grazed grass has been eaten.